Rate Sunday's SAG Awards Red Carpet with The Glow Up! Who, Wear, What: Rate Sunday's SAG Awards Red Carpet with The Glow Up! The actor is seen at Cocktails with the SAG Awards: A Behind-the-Scenes Experience on January 24, 2019 in Los Angeles, California. Red carpet watchers, are you ready for another round? 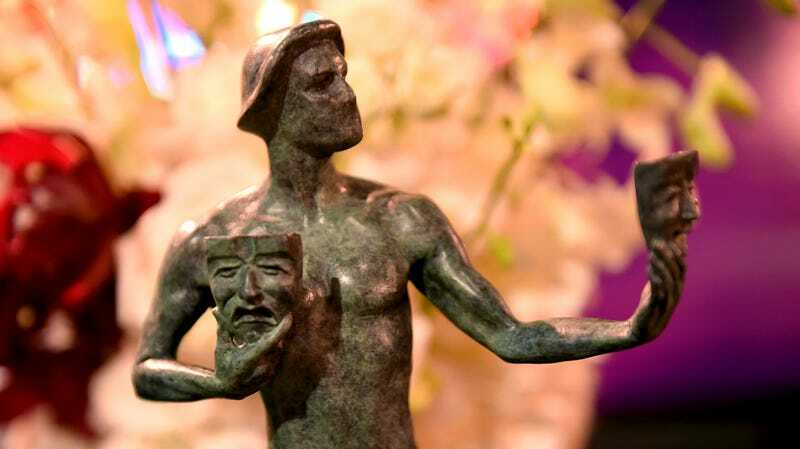 We’re back it again this Sunday for the 25th annual Screen Actors Guild Awards! Join The Glow Up’s Facebook group for live commentary of what all your faves are wearing, and come visit us here on Monday to see our red carpet roundup and find out some behind-the-scenes beauty secrets—including some from this year’s SAG Awards Ambassador, Yara Shahidi! We’ll be starting the action at 5:45 p.m. ET/2:45 p.m. PT on Sunday, and will continue our live thread as the show telecasts on TNT. See you there! Love Without a (Price) Limit: Love Mary J.’s Look at the SAG Awards? Get It With Black Opal!